from mobile apps will continue to bring business to firms. The report said that revenues from mobile apps store owned by Google, Apple, Nokia and RIM is poised to grow 77.7% by 2011 and reach $ 3.8 billion. During 2010 and 2009, the combined revenues of apps store stood at $ 2.1 billion and $ 830.6 million in 2009. Jack Kent, IHS mobile analyst said that with users continuing their interest to download games and apps in their smartphones and tablets, the revenues of aforementioned store will be boosted. 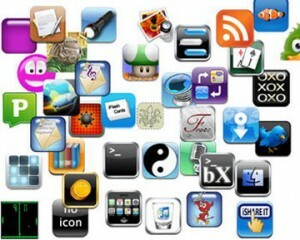 According to IHS, Apple’s App Store will be leading the way with the company gaining $ 2.91 billion from its App store. The research firm also says that the revenues of App store will drop down to 60% in 2014. The research firm also said that that the market share of Google’s Android marke will grow by 295.4% in 2011. The firm estimates predicts RIM to grow by 69.2% while it estimates Nokia to make revenues worth $ 201.48 million. The firm also predicts Microsoft to increase its market share with its tie up with Nokia. It is to be noted that Nokia will soon release phone which will run on Windows Phone 7 platform.